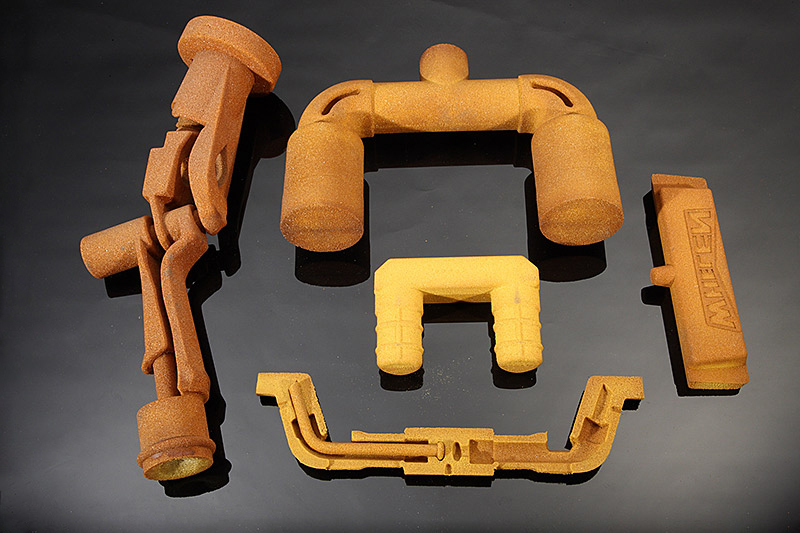 A core is a preformed, bonded, sand insert placed into the mold to shape the interior of a casting or a part of the casting that cannot be shaped by the pattern. Cores are frequently used to create hollow sections or cavities in a casting. 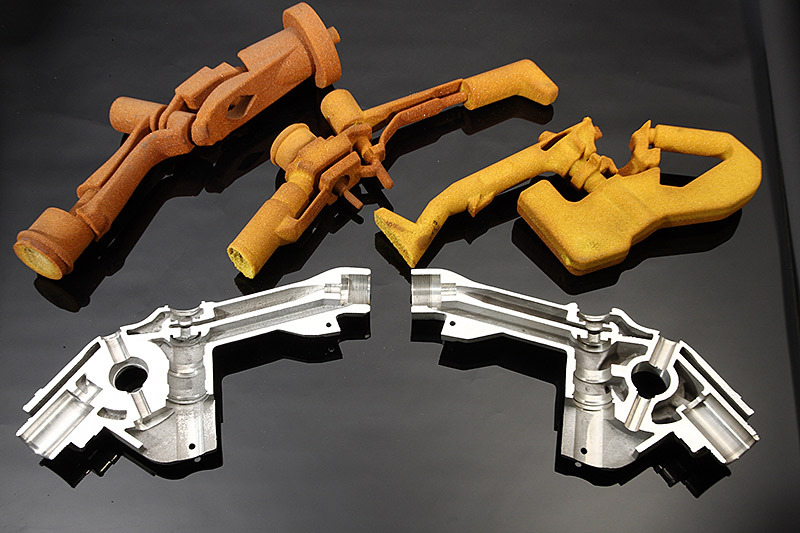 A good casting core is a critical component for a quality casting at Francis Manufacturing Company. We have years of experience producing cores to meet a variety of casting specifications- whether it’s valves, bodies or gasoline nozzles. We have the equipment to accommodate a wide range of core requirements using both the shell process and CO2 process. Within our 165,000 square foot facility, our core making capabilities can meet all shapes, sizes and configurations. Our knowledge, combined with more than 70 years of experience, guarantees you that we are capable of producing the highest quality cores in the industry with minimum lead time. 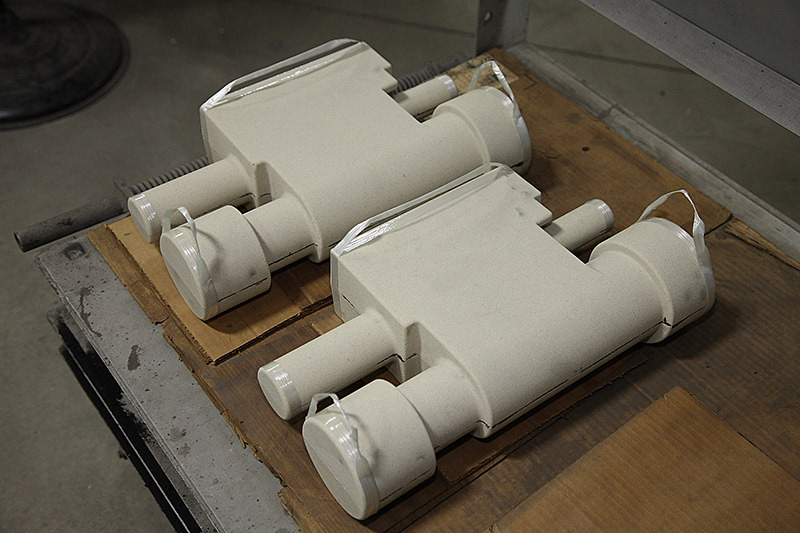 We utilize production shell core boxes (cast iron or aluminum) to create specific casting characteristics. We also offer CO2 cores for experimental and prototype work, or to meet small production requirements. These processes allow us to offer creative solutions to meet even the most challenging and intricate casting designs. 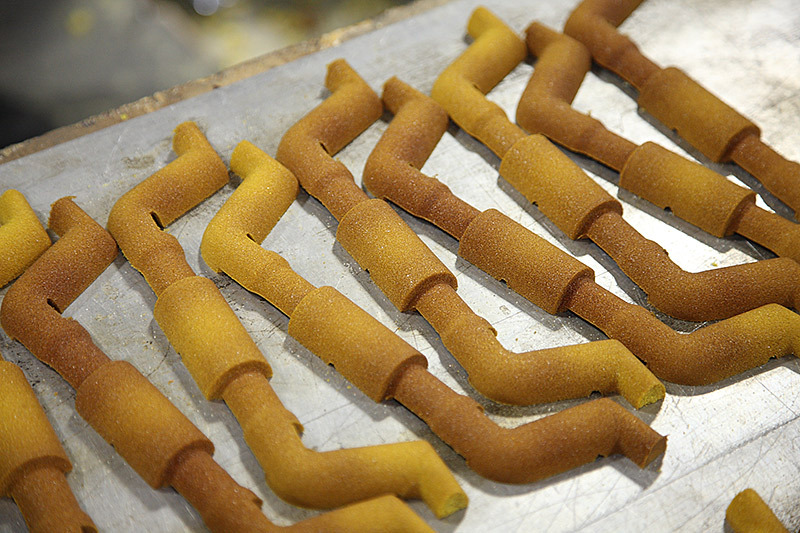 Existing shell core tooling can easily be transferred and adapted to work at Francis Manufacturing Company. With 18 shell core machines, we are constantly staying busy with production demands. 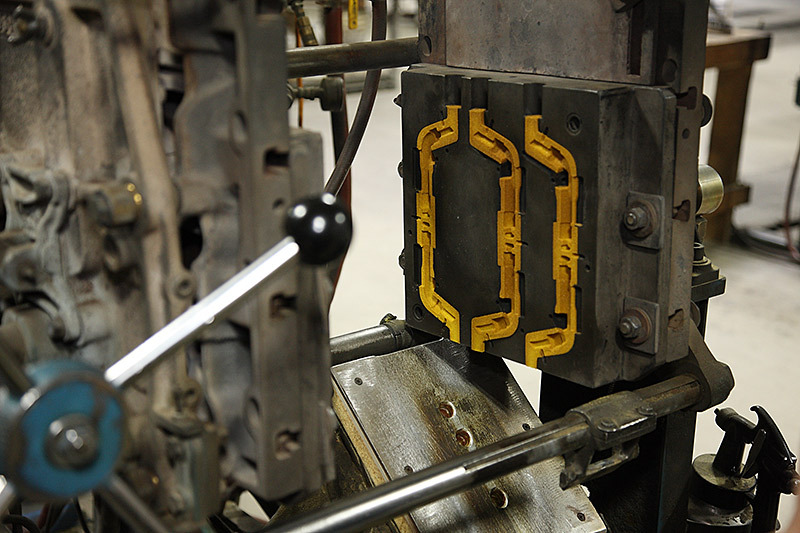 New core tooling is created off of customer drawings and CNC machined to ensure precision and accuracy. All design configurations are performed in-house to insure maximum production and minimum cost. Contact us here regarding our core capabilities and how we can help produce any aluminum sand casting requirements you may have. Feel free to request a quote or view our online company brochure here for more information about how Francis Manufacturing Company can apply decades of experience to your demands. Simply click on link below, fill out form and upload your file or contact our sales associate. COPYRIGHT © 2019 Francis Manufacturing Company - ALL RIGHT RESERVED.